What’s causing lower protein levels in Western Canadian soybeans? Soybean protein levels in Western Canada are on the decline and lower than those found in Eastern Canada and parts of the United States. Although researchers aren’t certain of the cause, they suspect that selection for yield at the breeding and genetic levels may have something to do with it. Cassandra Tkachuk, production specialist at Manitoba Pulse & Soybean Growers, is one of the people working to find solutions to mitigate these declines. Other hypotheses include Western Canada’s shorter growing season, soil type and temperature. The shorter growing season in the north could mean that the plant has less time to allocate energy and resources into protein synthesis in the seed. Soil type could also be a driving factor, she added, pointing to the soil’s ability to retain soil moisture. “Moisture appears to be pretty closely related to protein, and different areas experience different precipitation,” she said. Temperature may also contribute. “In Manitoba, for example, farmers grow shorter-season varieties that now have higher yield potential than they would have before, but these are all factors that are interacting and contributing to lower protein,” she said. Tkachuk evaluated data sets from several Manitoba research trials to see what parameters impact protein. These studies looked at plant population and planting dates, as well as fertilizer studies that evaluated phosphorus, potassium and nitrogen use. “None of these factors really did anything to protein; there were no clear trends,” said Tkachuk. “In a nutshell, my big takeaway for farmers is that agronomically speaking and management speaking, you can’t plant earlier to get higher protein. American researchers have also been struggling with protein levels in the more northern climates. A project spearheaded by the University of Minnesota has found that the mechanism used to measure crude protein levels may not actually be the best measure. “They actually found that the U.S. had higher amino acid content than Brazil, which suggests a dietary benefit for livestock and human consumption,” said Tkachuk. “The results could present an interesting marketing opportunity for the more Northern-grown beans,” she said. 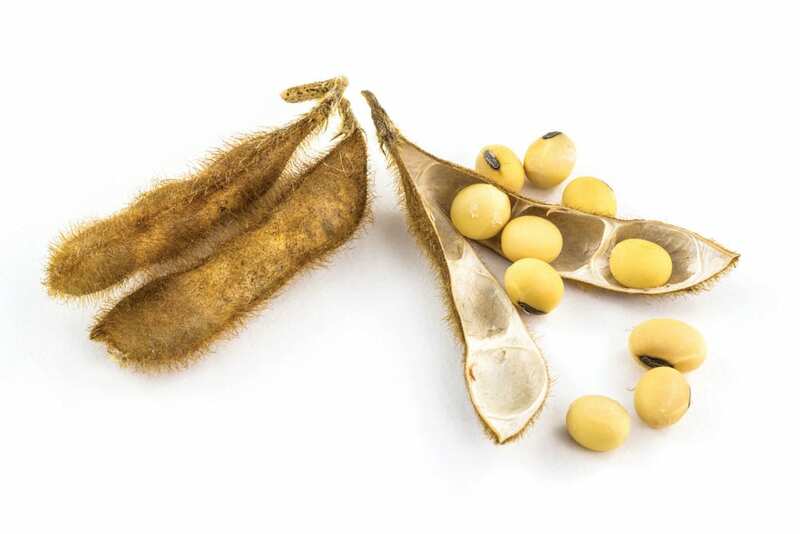 Shawn Rempel, general manager of Quarry Seed Ltd., believes there agronomic practices could boost protein levels — or at least give farmers the best chance of producing adequate levels in their soybeans. Rempel also pointed to fertility as a possible solution. “In most cases the addition of nitrogen fertilizer won’t do much to increase protein content,” he said. “However, starting with adequate nitrogen levels will be a benefit.